: dental floss is a thin stringed-like material used for removing plaque and food particles around the teeth and gumline. It requires special application and dexterity by the individual so avoid gum bleeding and because of this, most people avoid it. : it is a disposable devise made of plastic and string floss. It is safer to use and doesn’t require special application like the dental floss. They come as ‘F’ or ‘Y’ shaped with a rubber handle and a piece of floss between two edges. : this serves as alternative to flossing. Interdental brushes are specially designed with bristle heads to remove plaque and food particles stuck in between the teeth and comes in various width adopted to fit in the spaces between your teeth. : this is an oral irrigator that uses high-pressured water to remove plaques and food particles in-between the teeth. It is often recommended as an alternative to dental flossing because it is easier to perform and gum bleeding is minimized. It eradicates bad odour since the bacteria from residual food particles that produce foul smell have been removed. 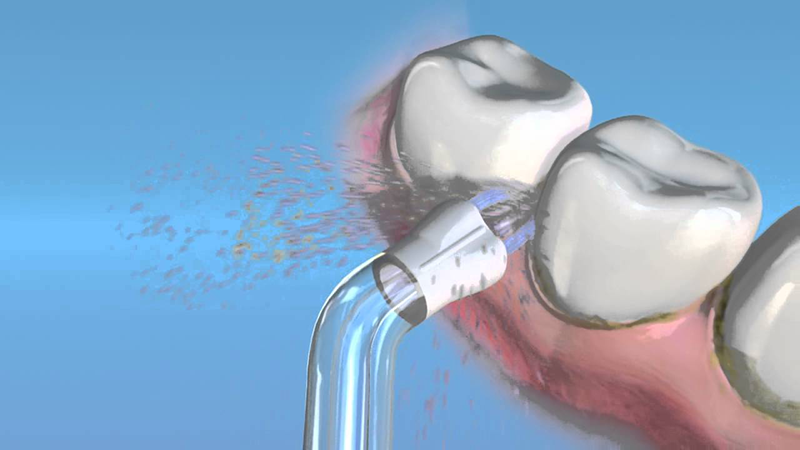 Water flosser devices come in different shapes and sizes and often require electricity or battery to run. They also have multi-coloured tips that enables usage by various individuals. A popular brand of water flosser is the Waterpik. It is easy to use by all. Flossing is literarily done for you; you only need to move the tips between the teeth while the device works. Fred, a researcher and a writer. Hi is the founder of best water flosser hq organization.